1. I love bright colors. I especially love bright colors during the spring and summer in Seattle. 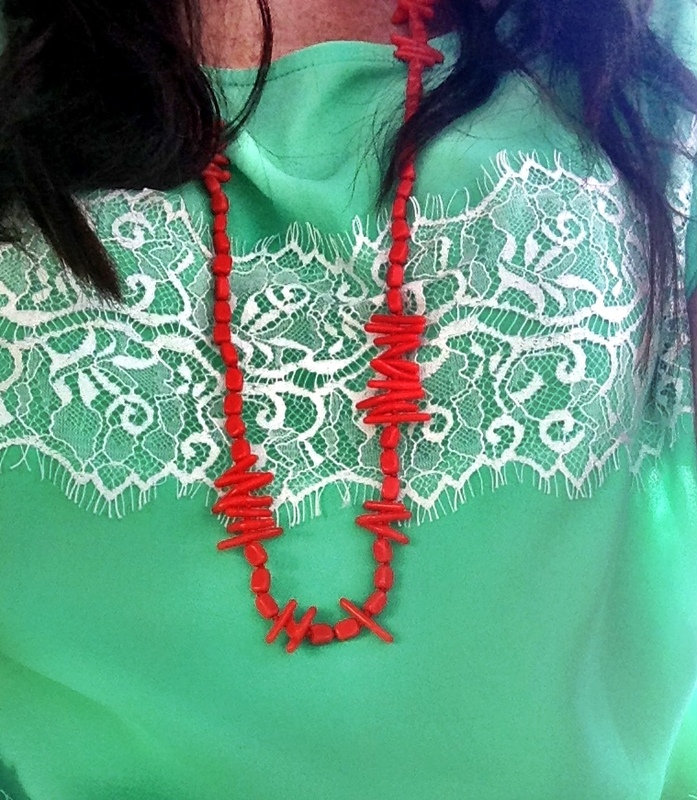 Today I’m wearing a bright green lace top with a coral necklace and it makes me happy. We don’t really get much of an opportunity to celebrate the sun around here so all things that are bright cheer me up. 2. Knotty Yoga. Unfortunately I haven’t done Knotty Yoga in over a year but the workout you get is incredible and it’s so much to hang from the aerial ropes. They’re offering a great deal on Amazon Local right now. If you pay $19, you get to attend an hour and a half intro workshop and one 30-minute class. Let me know if you buy the deal so that we can sign up for the workshop together. Hope everyone is able to get outside this weekend and enjoy the sun. I have a quick 4-mile run on my training plan and then the rest of the weekend will be spent packing for my trip.